Today’s real bride Stella shares with us her enchanting wedding photos. 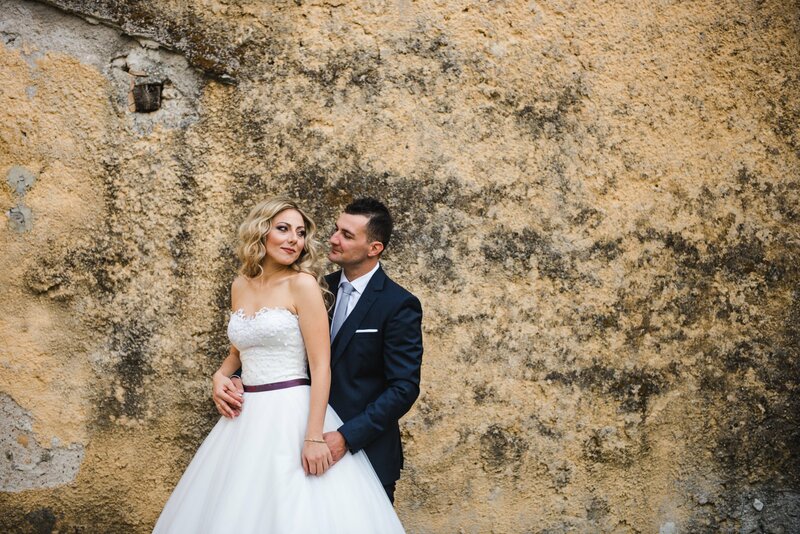 Stella’s wedding took place in the beautiful surroundings of Corfu. Walking through the narrow picturesque alleys of the island, the bride shared her joy on her way to the church. Her dress, a romantic heart shaped, lace bodice with hand applied lace and a full A-line tulle skirt, gracefully complimented Stella’s figure while the satin mauve belt accentuated her waist. The bride’s look was completed with a long tulle veil with lace details giving Stella a sense of royalty. As if a princess from a fairy tale, Stella married her prince charming in a warm, traditional ceremony surrounded by loved ones who were lucky to witness this sweet couple say “forever” .